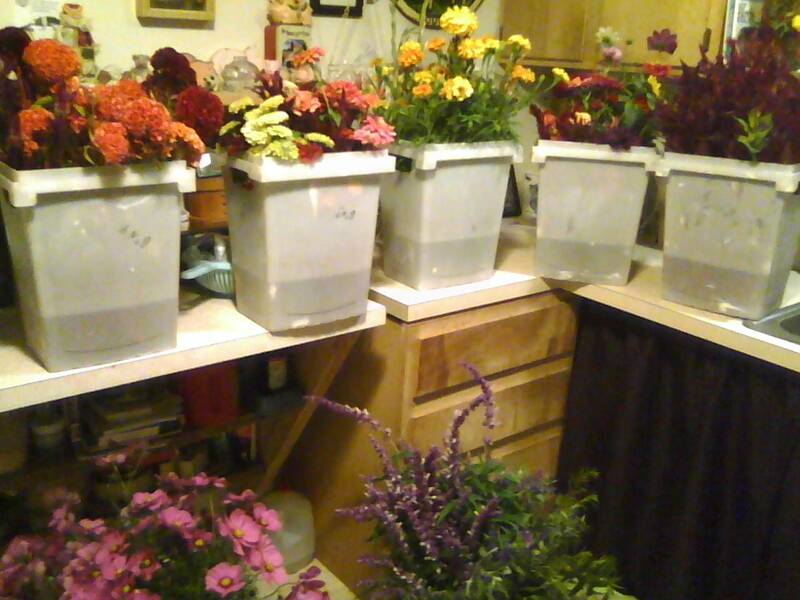 Last night Don and I harvested nearly every last bloom in the field, with the threat of frost on the horizon, a damp chill in the air. And, today, snow falling from the sky on the blooms we passed by, giving it all a note of finality. Fall, it seems, never really happened in Maryland. Summer turned to winter, and the effect is somewhat jolting. There is much to be said for transitions, in nature and in writing. . . I struggle to teach my students how to create a flow in their writing, but it is something, I believe, that is more innate, like an ear for music. Musicality is all about transitions, except for, perhaps, types of Jazz music that zig and zag in a cacophony of sound. . . but give me the transition: that soft easing into the next phase of life. . .